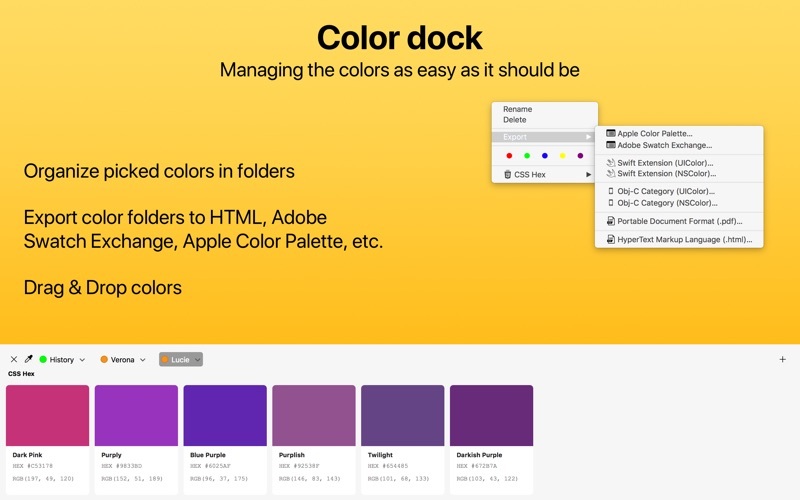 Pikka - Color Picker is a easy to use color picker for Cocoa professional developers and designers, that works well with multiple screens. 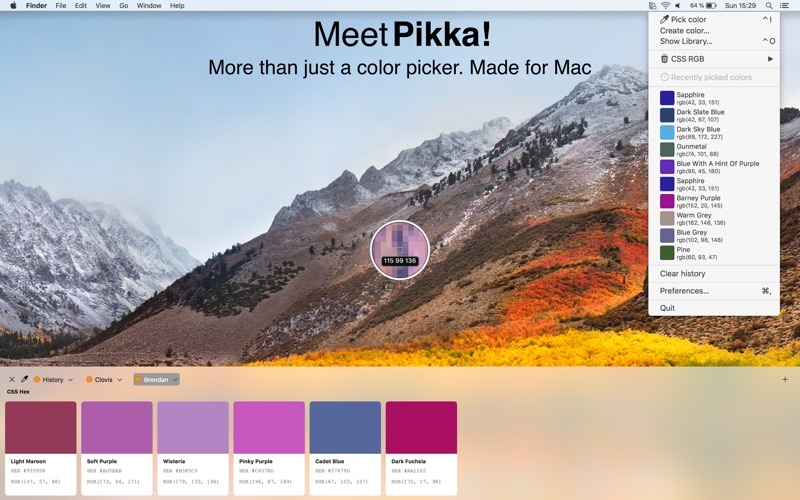 Pikka is integrated with iCloud, so your colors are kept in sync across each of your Macs. Add a color on one and within seconds it will appear on the others. Wherever you go, you always have your colors. The super fast color schemes generator! 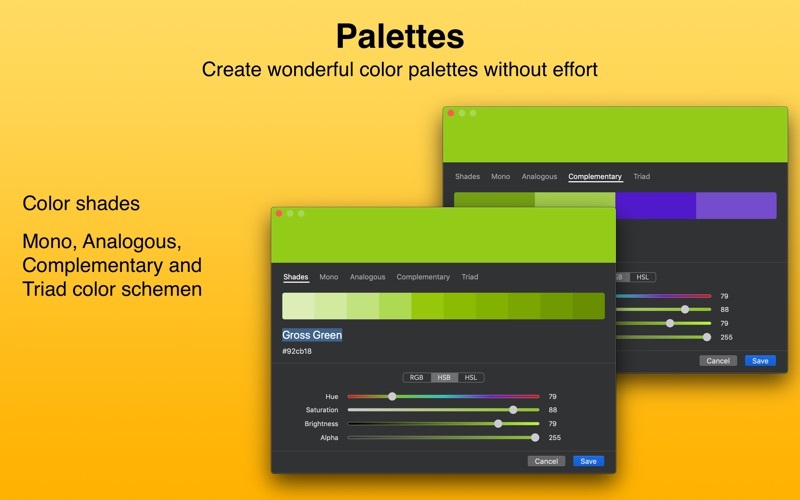 Create, save and share perfect palettes in seconds! Create Mono, Analogous, Complementary and Triad Palette Schemes. 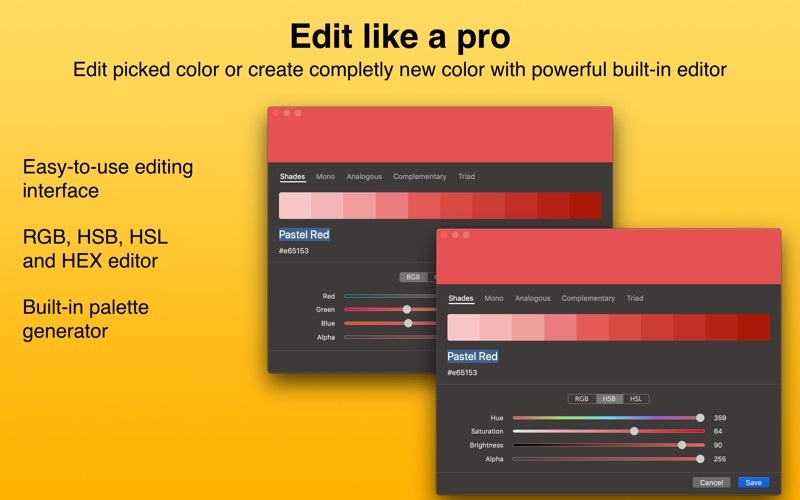 Powerful color editor makes all the editing a pleasant experience. Use RGB, HSB or HSL mode. Name your Palettes names and Colors as you like. Beautiful interface to a better editing experience. More than 15 color formats are provided. 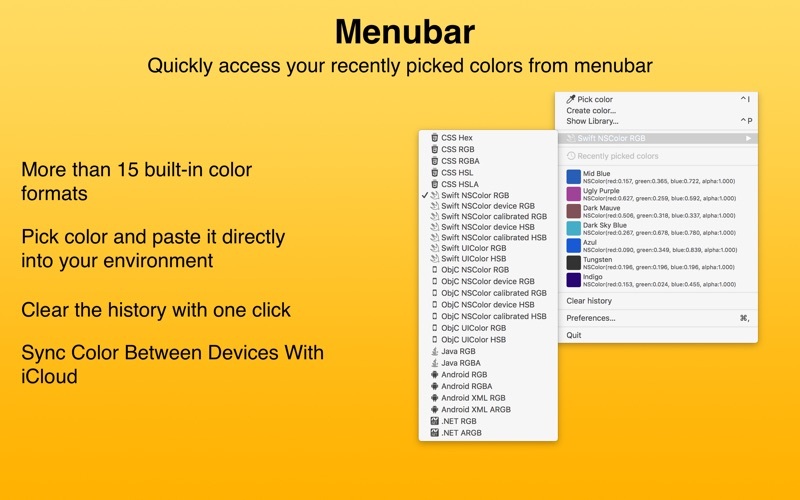 Pick color and paste picked color directly into environment you use. 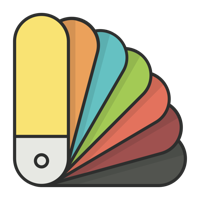 Choose from: HEX, RGB, Swift UIColor, Swift NSColor, Objective-C UIColor, Obecjtive-C NSColor, Android XML, Android (A)RGB and many more.